How Do I… Overcome the Friday Slump? Our panel of experts share their best tips and tricks for keeping agents smiling on a Friday afternoon. We go for a speed walk at lunchtimes. It helps that our offices are in a lovely rural area, but fresh air is fresh air wherever you go! Blow the cobwebs off and get the heart pumping ready for some target-meeting work in the afternoon. Introduce desk-based training. Most colleagues want to develop their skills and capabilities. Use Friday afternoons as time to do something different. Online training can be desk-based and learner-paced, so it’s easy to dip in and out if the phones are quiet. Get your agents involved in your recruitment processes. Contact centres are regular recruiters and who better to talk about working in them than agents and team leaders? Their stories could feed into your company careers page. Agents could even get involved in assessments centres with role plays, real-life feedback about what it’s like to work in a centre or even speed interviewing. Organise a 40-minute yoga or Pilates classes every Friday. Exercising and moving around has been proven to increase energy levels, especially when most of the day is spent sitting at a desk in front of a computer. Classes such as yoga and Pilates also offer the added benefit of enhancing an individual’s peace of mind and lessening stress that may have built up over their working week. A WFM system which allows for last-minute changes and holiday bookings can be particularly handy after a boozy Thursday night. If the option is available, agents can easily request the next day off to nurse their hangover in their own personal time, so that when they return to work they can perform at their optimum level. Providing employees with the freedom and scope to take time off when needed will help ensure that your service level agreements are constantly met, as well as making employees feel more empowered and happier at work. Make Friday a fun day to be at work by offering your employees a treat. Mix it up on a weekly or monthly basis to keep them guessing and eager to see what’s going to be next. A small treat will boost morale and at the same time show your agents they are both appreciated and cared for. Consider introducing a Friday afternoon ‘event’ of some kind. A lot of businesses schedule a weekly informal meeting for a Friday. This could be dubbed an ‘All-Hands’ (as in all-hands on deck) or ‘TGIF’ (Thank Goodness It’s Friday) meeting. You could have drinks and either have people speak about their experiences that week or use it to update on general company news. You could also use this meeting or event as a chance for management to reward people for their performance in the week in the form of prizes, giveaways or ‘treats’. You could also consider having targets set for the end of a week whereby if they are met by a certain time on a Friday team members are allowed to go home a bit early. This way you can keep people focused on achieving that target and, assuming they hit it, they will potentially have left before the slump really sets in. 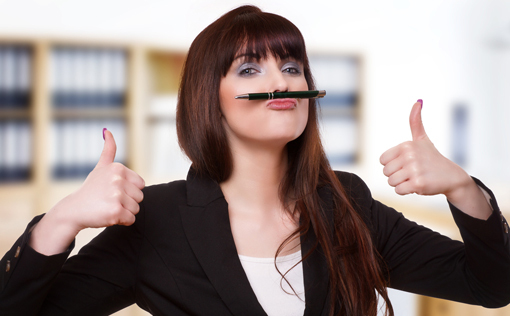 Don’t forget the importance of good management generally – all day, every day. This is critical for productivity, motivation and a positive company culture. Always lead by example and give praise and recognition where it’s due. Making sure team members feel valued and acknowledged will boost productivity far more than the occasional gift voucher. Providing incentives like a great cup of coffee can go a long way in avoiding the Friday slump. It can also help to give a bottle of wine for Friday’s best performer. We recently conducted a survey which found that staff productivity is being hampered by having to battle with too many desktop applications. Software which overlays and streamlines existing business systems can reduce the number of screens needed, making desktops quicker and easier to use. Not only that but it will guide staff through processes and display information automatically that’s relevant to the customer, based upon historical data and other criteria, at the right point in the conversation – so it’s easy to follow, even on a Friday! Offering employees the option to work at home is a low-risk exercise that can be very rewarding for both parties. In fact, many workers on “smarter working” schemes report increased levels of job satisfaction and a better work/life balance. We saw employee satisfaction rise from 61% to 85% in the first six months of our latest flexible working initiative. An overly noisy workplace can cost a UK business as much as £15,000 in productivity losses per year for each senior manager it employs. Companies today need to understand how these issues affect their bottom line and start taking noise at work more seriously. They must take appropriate action to soundscape their workplace and ensure their employees are able to work effectively in a relaxing and productive environment. Providing workers with an environment that will allow them to be as productive as possible and enjoy themselves in the process is vital. This could involve anything from creating flexible meeting spaces, to running hot-desking initiatives, to simply giving employees the tools and technologies they need to make the most of their time at the office. Companies such as Google, for example, demand a great deal of creativity from their employees, which is why they outfit their offices with resources that promote “outside the box” thinking and stimulation for workers even when they are away from their desks. 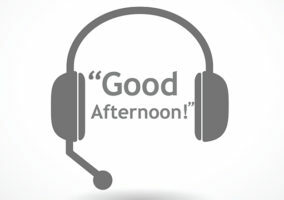 The concept of an agent passively sitting in the contact centre waiting for the phone to ring and reactively responding to inbound calls has gone. Today’s agents need to be multi-skilled and deliver a blended service where they can respond to people through multiple channels when times are busy. They should also be able to carry out proactive outbound activities during quieter periods, such as Friday afternoons. Workforce management solutions can be used to enable agents to take more responsibility for their own time, for arranging shifts and booking leave, for example. If Friday afternoons are repeatedly quiet then workers can be incentivised to take leave at those times. It’s a great way of balancing resource against requirements. Formally build a period in the week to review performance. This might involve discussing how continuous improvement can be driven within the business, data from speech analytics engines can be reviewed, call abandonment rates evaluated, call flows assessed and customer feedback addressed. The goal is likely to be the continuous evolution of process to improve both the quality and flow of customer service within the operation. Friday afternoon, especially if it is typically quiet, is likely to be a good use of that time. A relaxed dress code can help everyone get excited about the weekend ahead. Praise, encouragement, inexpensive spot prizes and a little healthy competition can also go a long way in creating a fun working atmosphere. Make it easy for agents to swap shifts. An agent might be delighted to work on a Friday afternoon if it meant that they could go to the school play on Wednesday. Some workforce management solutions have the capacity for agent self-service shifts swaps and holiday management. With 70% of business transformation efforts failing and only 13% of employees worldwide actually engaged at work, old ways of incentivising your team will only take you so far. The lasting impact comes from a change in behaviour and a desire to succeed. Gamification tools can help change everyday tasks into rewarding activities that boost an agent’s productivity and success, while keeping them motivated. What do you do to keep your agents smiling on a Friday afternoon? 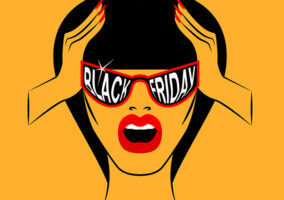 Black Friday - Is Your Contact Centre Ready? Everyone in work is always excited by lunch on a Friday, which is named ‘fat friday’ in our Call Centre. The talk carries on all morning on what we will have and then the treat can be pizza, a take away from the chippy or greasy spoon. These are just to name a few!